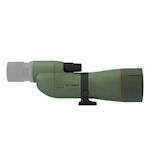 The Kowa Spotting Scope line offers Kowa's most advanced optical technology and the best materials known. Kowa's TSN-880 (88mm) scopes feature pure fluorite crystal objective lenses and magnesium alloy bodies, making them among the brightest and lightest. Their TSN-770 (77mm) and more compact TSN-660 (66mm) objective lens versions provide outstanding light gathering power, ensuring a bright field of view. 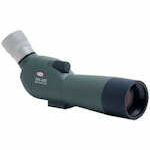 Their sharp views and accurate color reproduction qualify these scopes as the dream instrument of every bird watcher. Kowa's TSN-880 spotting scopes feature 88-mm pure fluorite crystal objective elements with advanced coatings in a lightweight magnesium alloy housing. A dual wheel mechanism makes for fast and accurate focusing. TSN-880 scopes can utilize a variety of eyepieces including 25-60x WA zoom, 25x LER and 1.6 Extender. 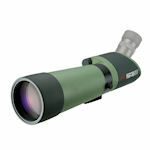 Kowa's TSN-770 spotting scopes feature a 77-mm objective lens, dielectric lens and prism coatings for maximum light transmission, and locking eyepiece mounts for a secure connection. All TSN-770 scopes are made with Kowa's Prominar XD fluorite glass for maximum light throughput. TSN-770 scopes utilize a variety of eyepieces: 20-60x zoom, 25-60x WA zoom, 25x LER and 30x WA. The TSN-82SV angled scope features an 82-mm objective lens and fully multi-coated optics. With a durable, lightweight polycarbonate angled body, the TSN-82SV is completely waterproof. The convenience of an angled body configuration makes this scope a favorite among target shooters. This scope uses a wide variety of eyepieces. The Kowa TSN-550 spotting scopes feature the same pure fluorite crystal objective lenses as their flagship TSN-880 scopes. The TSN-550s have a permanent eyepiece that zooms from 15x to 45x. 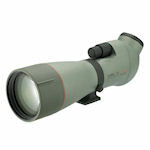 The Kowa TSN-500 spotting scopes feature standard glass in a lightweight polycarbonate body. The 20-40x zoom eyepiece is fixed in place and can achieve an 8.2' close focus. 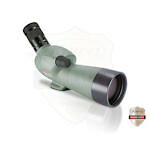 Kowa TSN-600 series spotting scopes are compact and lightweight 60-mm scopes. Featuring fully multi-coated optics, TSN-600 scopes are completely nitrogen-purged to be fog- and waterproof. 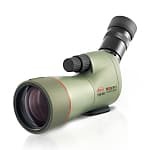 Kowa TSN-600 scopes are available in straight and angled models, and a choice of 20-60x zoom, 25-mm LER, 30x WA and 45x WA eyepieces. 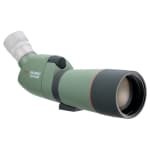 Kowa TSN-660 spotting scopes are mid-sized scopes with fully multi-coated optics, and with an option of a Prominar ED fluorite objective lens. TSN-660 scopes are completely waterproof, and available in angled or straight configurations. TSN-660 scopes can be purchased with a 20-60x zoom, 25x LER, 30x WA and 45x WA eyepieces.